A road winding through the hilly farms of 1910 Greene County, Pennsylvania was likely to be pitted and ice pocked in late February. Nevertheless, birthdays, particularly of beloved grandpas, required festive acknowledgements. The Ruse family decided to let the mail do the travelling for Christopher’s seventy-third birthday, and, via USPS, invited young and old to shower the elderly carpenter with celebratory wishes. Seven-year-old Donald Minor, my grandfather, received an invitation from Chris Ruse’s granddaughter, Helen E.
Dear Donald, We are having a surprise Postcard shower for Grandpa Ruse on March 13. We want all of you to send a card and to tell everyone you see that knows him. The adult who formed each cursive letter for Helen conveyed more than a mere request. 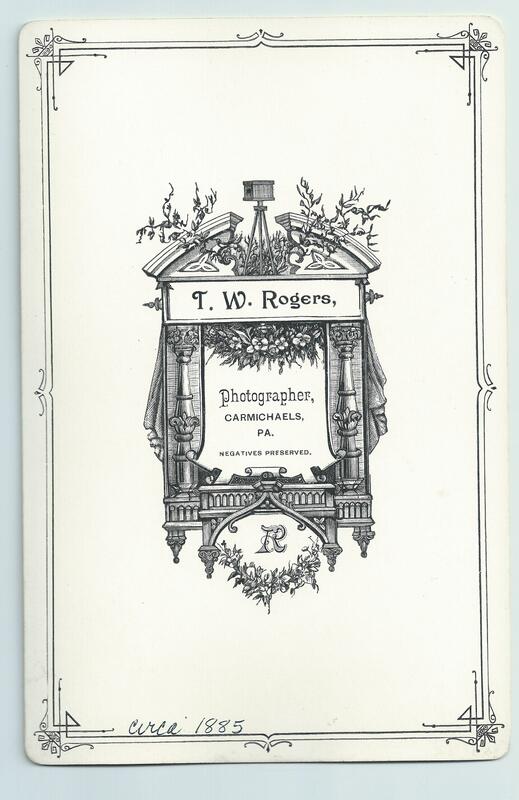 On the front of the postcard greeting was a reproduction of an early twentieth century print, A Raise in the South. 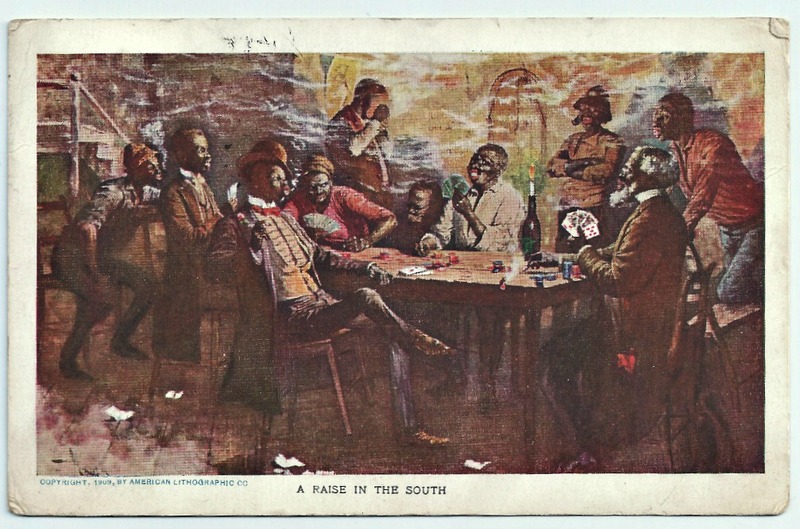 In the scene, nine southern black men are gathered in a smoky, windowless room around a large table, mid-way through a hand of poker. I suppose the cartoonish characters were meant to be child-appropriate and the title a clever play on the word “raise,” but a larger lesson was truly being dealt. The Lost Cause interpretation of the Civil War and Reconstruction had become firmly lodged in the national psyche by 1910, guiding the country’s sectional reunion. According to this historiography, the war was fought by valiant white men, Yankee and Rebel, for the cause of liberty. Emancipation of slaves had not been a wise move; African-Americans needed –and desired–the paternal governance of the superior white race. Tossed from memory were tales of black heroism and self-efficacy. What lingered were caricatures of idleness and incompetence, portraits of black men seeing raises within the context of a game, not within the framework of gainful employment. The birthday invitation from one child to another was an early lesson in the state of race relations within the country Don and Helen would inherit. 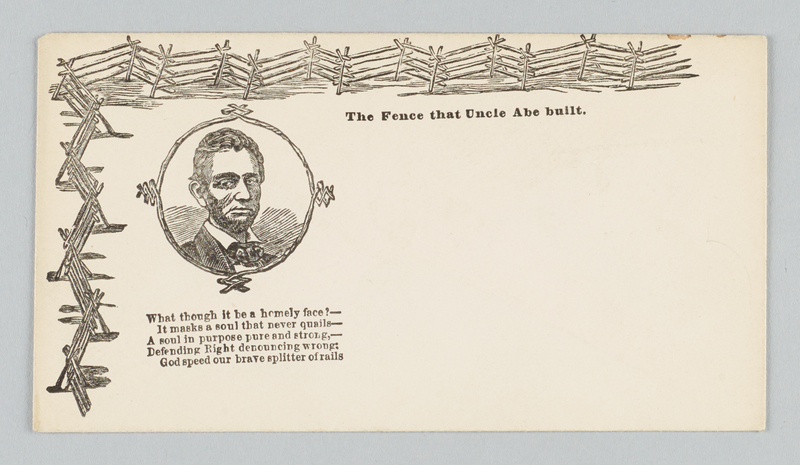 Insidiously, cartoon postcards planted doubt and fear, which in turn sprouted justifications for the South’s use of murder, segregation, and disenfranchisement of black Americans in the effort to re-establish a country of white men, governed by white men. Far from comic, A Raise in the South, is a chilling reminder of mass media’s influence on public memory. Postcard. “A Raise in the South,” From Helen E. Ruse to Donald C. Minor, 27 February 1910. 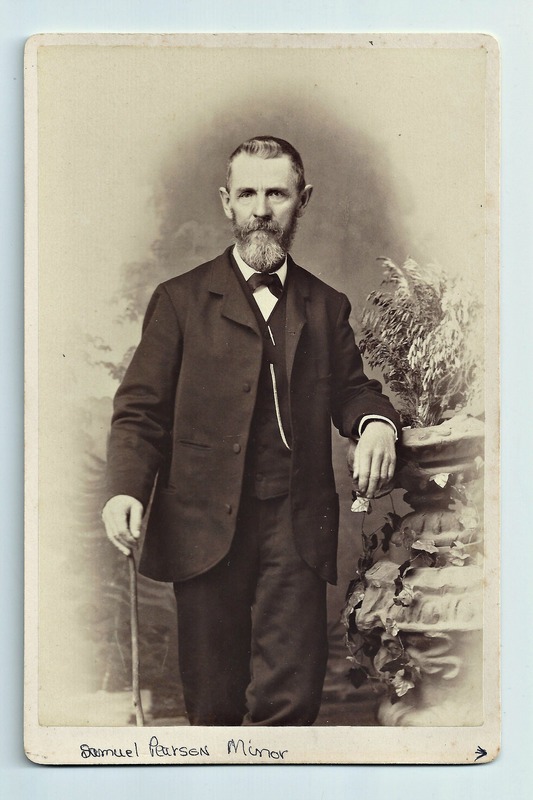 Donald Minor Postcard Collection, D. Kay Strickland Family History Library. Yellowed from one hundred eighty-four years, the paper unfolds with a pungent, almost yeasty smell. Ink, now walnut brown, spreads line after line across the long, creased sheet. 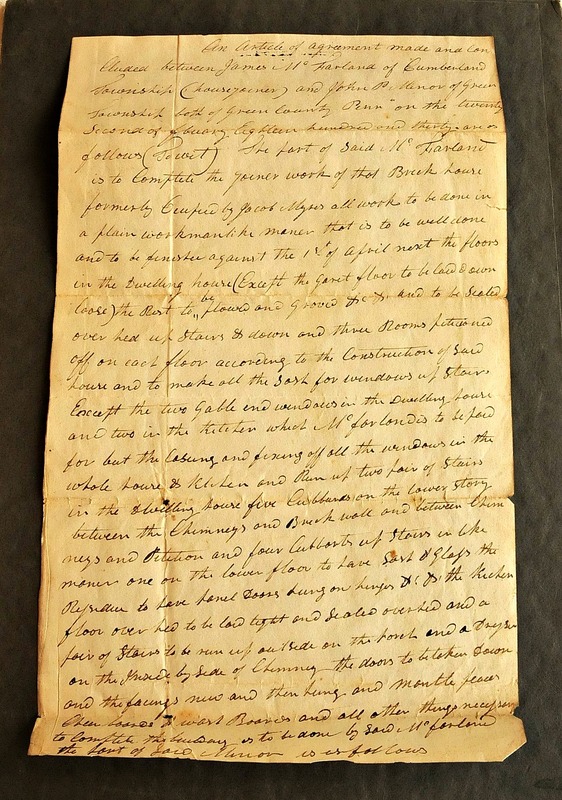 When pen touched this page, the roads west of Pennsylvania’s Allegheny Mountains were detestable. Neither railroad nor canal connected Greene County stock and crops to eastern metropolitan markets. Small farms dotted the hilly landscape and residents interacted with the same folks day after day after day. And yet my collection of family papers holds numerous examples of memoranda and receipts that clarify and testify to verbal contracts. The key to a prosperous and self-sustaining community, it seems, was documented communication. John P Minor stipulated that James work on site for the coming year, laying “plowed and grooved” floors upstairs and down, partitioning each floor into three rooms, and building sashes for all the windows. Mr. McFarland was to “run up two pairs of stairs in the dwelling house” and one “outside on the porch.” Cupboards were to be built in every conceivable space. To accomplish this work in a time-effective manner, James was to be lodged by the Minors, thus saving everyone from the headaches of a daily commute from neighboring Cumberland Township. John P. was to “furnish bords (sic) glass hinges door laches (sic) nails and all the necessary materials for finishing the same” and pay James upon “the true and faithful performance” of this renovation three hundred dollars cash. But… why was this agreement preserved, first by John P and later by son, Marion? 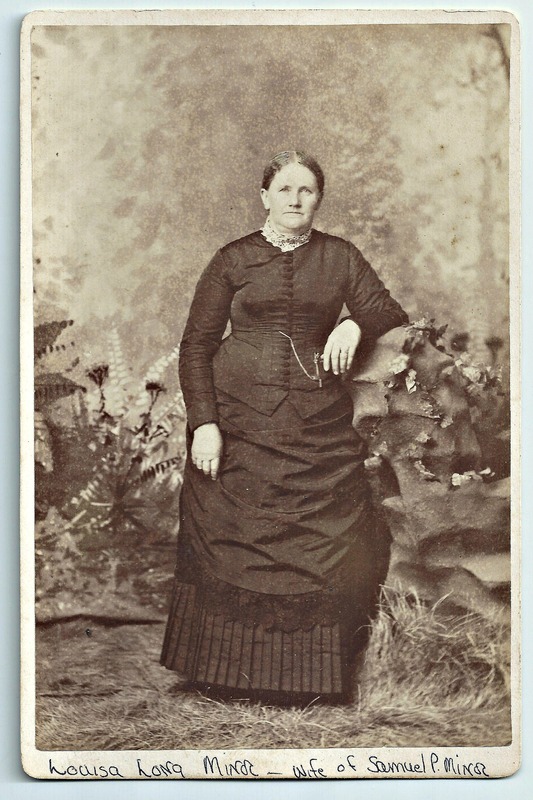 Marion, my great-great-grandfather, was just starting to pull up and toddle after his seven older siblings in 1829 when the farm was purchased, and just beginning to take on farm chores when the brick house was finally occupied by his mom, dad, and siblings, Abia, Robert, Hannah, Mary Anna, Margaret, Rebecca, Samuel, and Isabelle. For all intents and purposes, this was the only home that Marion ever knew, and this carefully preserved record of the 1831 renovation may have given Marion a sense of grounding, or prompted memories of childhood, or provided evidence of just how far the family had progressed in his lifetime. The brick house, formerly occupied by Jacob Myers, became home, and the hills against which it nestled became a legacy, passing from father to son to grandson to great-grandson. 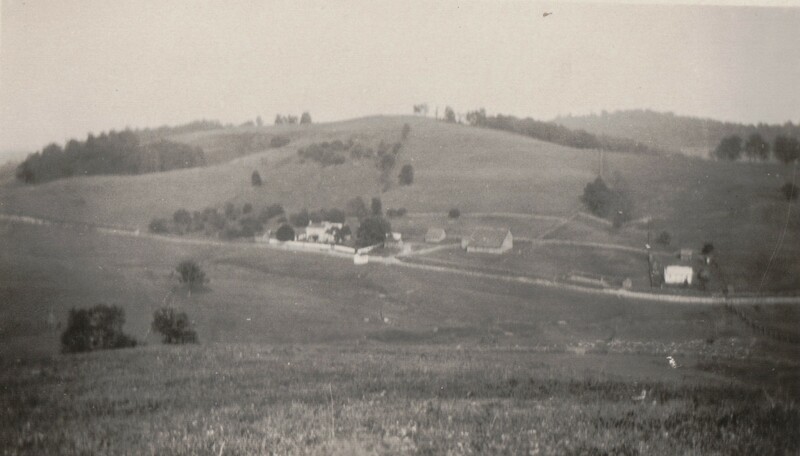 Minor Home Farm, Brick “Mansion House” on left, circa 1910. Marilyn Minor Strickland Collection. D Kay Strickland Family History Library. 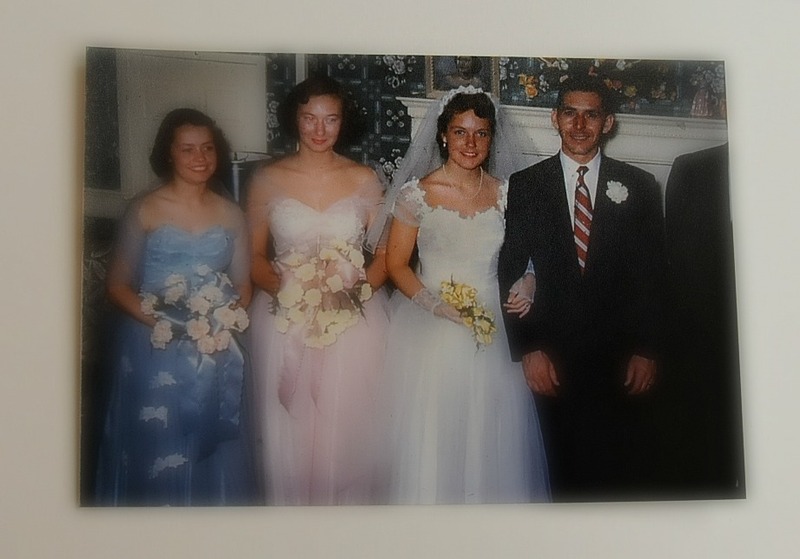 A legacy that heard my mother’s laughter, sheltered her dog-grieving sobs, embraced her valedictory success, and witnessed the cutting of her wedding cake. This is the house that Jacob built, formerly occupied by the Myers family…and stuffed to the rafters with Minor hopes, dreams, and love. Wedding Reception of Norman and Marilyn Minor Strickland, Minor Home Farm, 13 June 1953. Marilyn Minor Strickland Collection. D Kay Strickland Family History Library. *John first married Hannah McClelland in 1814. She died shortly after giving birth to their second boy in the spring of 1817, and John married her sister, Isabella, later that year. **Alex de Toqueville made this observation of the German immigrants in eastern Pennsylvania, during his 1831 trip through America. 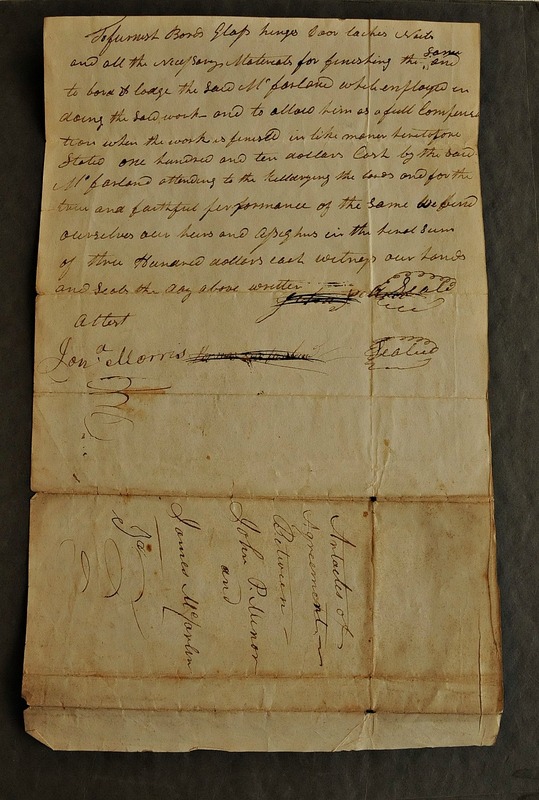 Article of Agreement between John P. Minor and James McFarland, 22 February 1831. 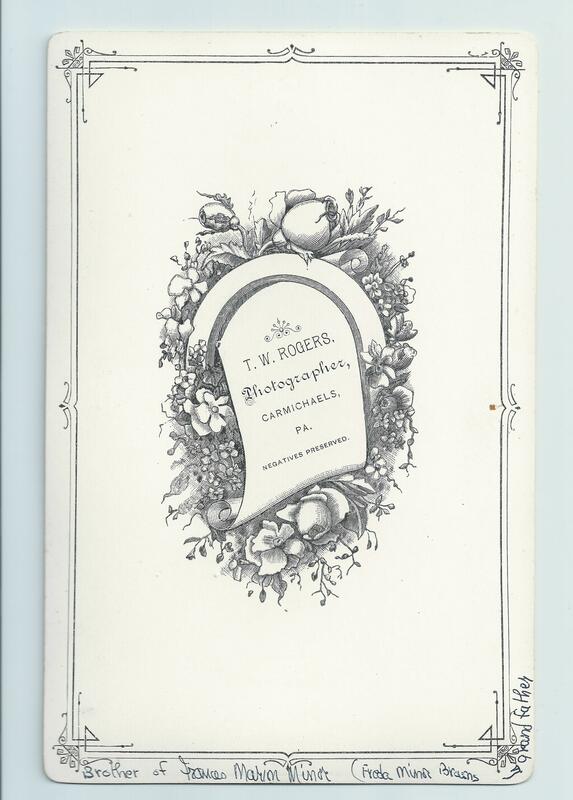 Papers of John Pierson Minor, Satchel Collection, D. Kay Strickland Family History Library.